Please make a tax-deductible donation in 2015 to support this continued work! The US Solicitor General urges the Supreme Court to brush off a lawusit by Nebraska and Colorado seeking to invalidate Colorado's marijuana legalization law. Dire predictions that relaxing the marijuana laws would lead to an increase in teen pot smoking have not been borne out. The specter of state regulation is prompting California cities and counties to regulate or ban medical marijuana activities, including several more this week; Florida's already delayed medical marijuana program faces more delays, Chicago sees its first dispensary, and more. A sticky-fingered Ohio cop heads for prison, so does a gun-smuggling Miami cop, an Indiana cop gets busted peddling dope, and more. It's one of those all-marijuana news days. A Vermont legalization bill looms, Dallas could stop arresting small-time pot possessors, a Michigan medical marijuana hearing got testy, and more. A legalization initiative dies in Florida, but another is born in Montana; the Justice Department proposes funding increases for asset forfeiture programs, Mexico issues the first permits allowing people to grow and possess marijuana, and more. 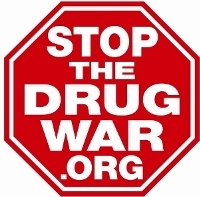 Cpngress continues to block DEA harassment in medical marijuana states, Washington state could see a lot more pot shops, it looks like Florida will vote again on medical marijuana, Ireland is moving toward setting up a supervised injection site in Dublin, and more.